Late Jansson header secures Leeds a point. Leeds: Peacock-Farrell, Ayling, Dallas, Cooper (c), Jansson, Phillips, Klich, Alioski, Harrison, Saiz, Roberts. Subs: Blackman, Forshaw, Pearce, Shackleton, Baker, Clarke, Edmondson. Brentford: Daniels, Odubajo, Mepham, Canos, Yennaris, Maupay, Watkins, Mokotjo, Sawyers, Dalsgaard, Konsa. Subs: Bentley, MacLeod, McEachran, Judge, Benrahma, Jeanvier, Barbet. 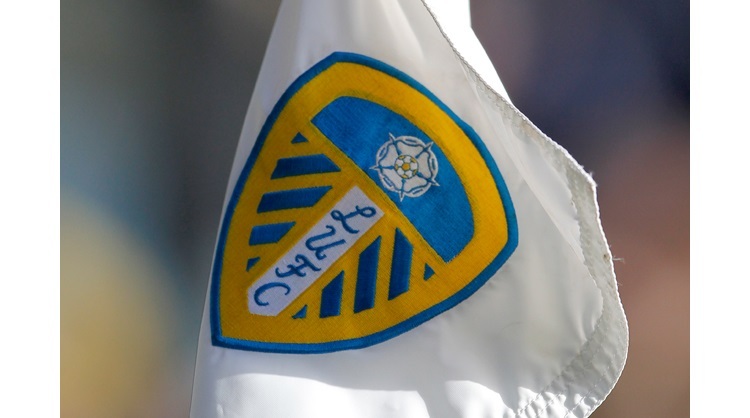 Pontus Jansson header with two minutes of normal time remaining secured Leeds United a point against Brentford at Elland Road in the Sky Bet Championship. Leeds head coach Marcelo Bielsa made one change from the side which beat Hull City in midweek, with Stuart Dallas replacing the injured Barry Douglas. Brentford had the first opportunity of the game, they broke up the pitch and Sergi Canos played Neal Maupay into the Leeds box, but he was denied by a fantastic save from Bailey Peacock-Farrell. Mateusz Klich then went close, he made good ground in the Brentford half before unleashing a strike, but he couldn’t find the target. Canos then tried his luck, cutting inside from the left flank and he forced Peacock-Farrell into another decent stop. Samuel Saiz then played a neat pass to Tyler Roberts just inside the Brentford penalty area, he cut inside before firing at goal, but couldn’t beat Luke Daniels. Maupay, the Championship’s current top scorer then fired a long range effort for the Bees which went just inches wide. The visitors nearly took the lead in the 29th minute, Oliver Watkins drove forwards and his deflected effort looped over Peacock-Farrell and hit the crossbar. From the rebound, the Leeds stopper made a fine save to once more deny Maupay. Watkins again caused Leeds problems by making good yardage, he played in Maupay, but once more he couldn’t beat Peacock-Farrell from a narrow angle. On the stroke of half time Leeds had a good chance, Ezgjan Alioski teed up Saiz, but he scuffed his effort. The ball then landed at the feet of Harrison, he played a cross field pass back to Alioski who again teed up Saiz, this time he made good contact with his effort, but his strike went over the bar. After the break, Watkins fired over from a free-kick the edge of the Leeds box, before Pontus Jansson made a great block to deny Canos a shot on goal. The Whites went close from a corner in the 57th minute, Liam Cooper headed into the ground, Daniels fumbled and Kalvin Phillips struck on goal, but he couldn’t get the better of the Brentford stopper. Just after the hour mark Brentford were awarded a dubious penalty. Watkins was played through on goal and got an effort away, before going down under the challenge of goalkeeper Peacock-Farrell, who was subsequently booked. From the spot Maupay made no mistake, finding the bottom left corner. Leeds almost hit back six minutes later, a free-kick from Alioski was headed just wide by Cooper. Harrison then put in a good ball from the right which was met by a snap shot from Roberts, but his effort was just off target as the Whites pushed to get level. Substitute Lewis Baker nearly scored with his first touch when he fired a free-kick on goal, he was inches away from finding the bottom left corner. Jack Clarke was handed a debut by Bielsa from the bench and he had an impact, a cross from his was palmed away by Daniels, which marginally evaded the head of Baker. With two minutes remaining Alioski won Leeds a free-kick on the left flank and from the resulting set-piece, Jansson was on hand to head home, as Elland Road erupted. The Whites had a fine chance to win it in stoppage time when Alioski delivered a fine cross from the left which was met by the head of Baker, but his header went narrowly wide of the Brentford goal. In the dying stages, Luke Ayling received a controversial second yellow card from referee Jeremy Simpson, who didn’t endear himself to the supporters at Elland Road.